Registreer nu en profiteer van alle diensten die worden aangeboden door geregistreerde gebruikers. Er is geen mogelijkheid om een bepaalde hoeveelheid product te kopen. Home (NL) > News (NL) > How to get your children or grandchildren involved in coin collecting and numismatics? How to get your children or grandchildren involved in coin collecting and numismatics? · If you have your own coin collection, you may start from introducing it to your child. Show your favourite and the most valuable coins. It is very important to explain that behind each coin there is its own history and emotions. · Help your children start building their own collection from buying a special coin folder or album selected together. You may give a chance for your child to choose the first coin from your collection. Tell the history hidden behind and allow the child share with other family members or friends. If the coin isn’t historic, you can create your story with the character featured on the coin. You might be surprised how the beginning of own coin collection can initiate inspiration of your child to take part in further activities. · Visit together the museum with unique and old coin collections. It would be great if you know the history of some rare coins or if not, you may ask the guide to help you. Interestingly told stories may arouse interest and desire to know more. · Arrange the visit to coins mint factory with assisted tour in order to get an idea of overall coins production process as well as to see the end result, including damages, imperfections and etc. · Together with your child look through the books related to coins collecting. Depending on the age of the child, you may start from showing just pictures to telling about future investment opportunities. 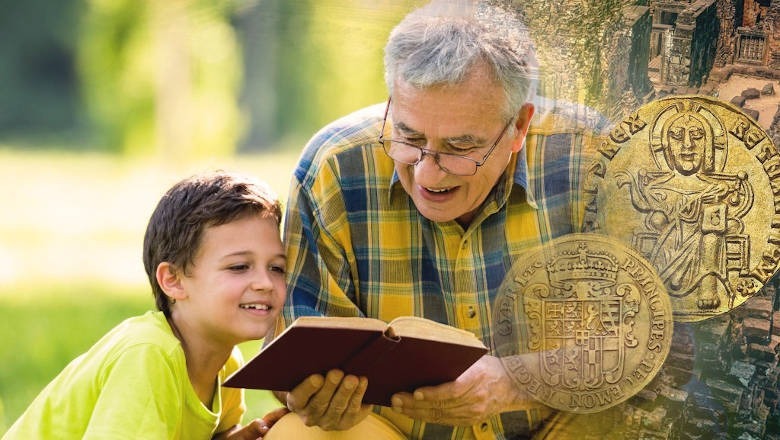 · If you are a member of certain club of numismatists, you may take your child to the meeting, in order to get inspiration from stories and collections of other club members. Let the professionals tell to your child about the coins that they are the most proud of or just lately purchased. · Various numismatic trade shows can be the best place for filling the spirit and atmosphere uniting all numismatists together. Such events are the best places for finding interesting people which are enthusiastic to tell about the unique pieces of their collections. Another challenge related to involving your children in coin collecting might be sustaining and growing their interest. By paying attention to what is your child the most enthusiastic about, you might be able to suggest building collection related to a certain country, time period or personage. Make sure that young collector has a decent magnifying glass. It might arouse additional will for inspecting the finer details and imperfections on the coin’s surface and as the result, be more motivated to dig into the history behind the coin. There are numerous ways to get your children interested in numismatics and coin collection, but the most important is to listen to their wish, passion and personality. Don’t try to force them if you feel that something is not going the way you planned. Just remember that your example, enthusiasm and patience will make the best job for you.